The best part of the holidays – besides the gifts and great food – is the celebrating with friends and family or even those great company holiday parties. Every holiday party, whether for work or home, could use some festive cheer from fresh evergreen and fragrant holiday flowers. Our floral design team has been busy already getting ready for the holiday party season, including some orders that have come in for New Year’s events. Flowers and greenery are a great way to make a statement that your guests just won’t forget. 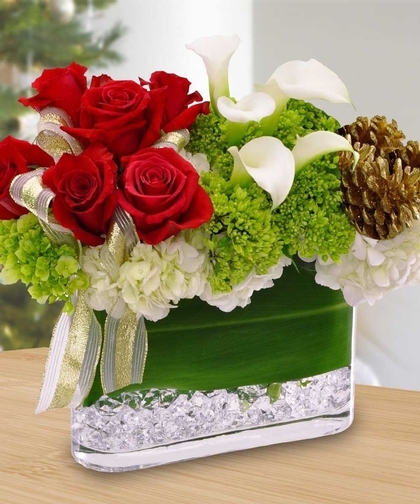 Festive Elegance offers white and green hydrangea, red garden roses, white calla lilies, holiday pinecones and ribbons in a leaf-lined vase. Winter Wonderland is an elegant display of luxurious white flowers that creates a dramatic effect. 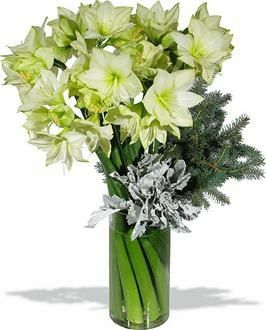 Bling for the Holidays has white dendrobium orchids along with white hydrangea and hypericum berries in a bling vase that has been lined with faux crystals. 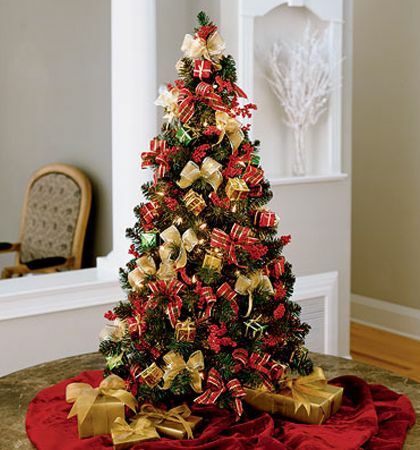 The Decorated and Lighted Three-Foot Tabletop Christmas Tree is a great display for any holiday party. Elegant Celebrations features white garden roses, hydrangea, lisianthus and textured winter greenery in a glass vase. The Holiday Party Centerpiece Collection comes with five different centerpieces that you can spread throughout a room or put together. Two arrangements include roses and orchids while the three smaller accent cubes hold holiday orchids. The Holiday Buffet Table and Party Centerpiece has winter amaryllis, hydrangea, roses and oriental lilies along with holiday accents. 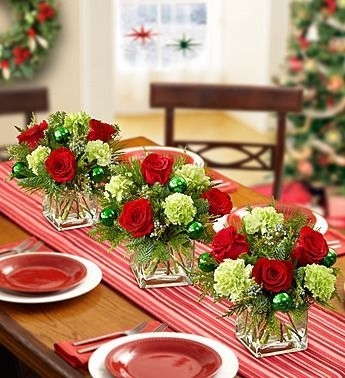 Jingle Fun Christmas Cubes offer red roses, lime green carnations, assorted holiday greenery and ornaments. You can order one or more to decorate tables and buffet tables. 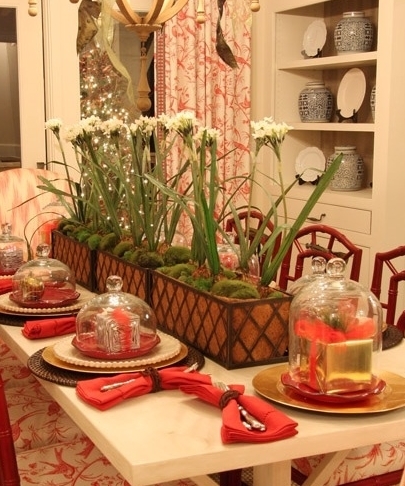 Custom Holiday Tablescapes by Carithers Events delivers incredible, awe-inspiring floral displays for holiday events. Each one is custom, including the floral selection and containers, to fit your event theme and budget. Call or visit us today to leave the holiday decorating to us!